Diverse manufacture equipment to overcome magnetic arc blow and instruments for magnetic measurements. 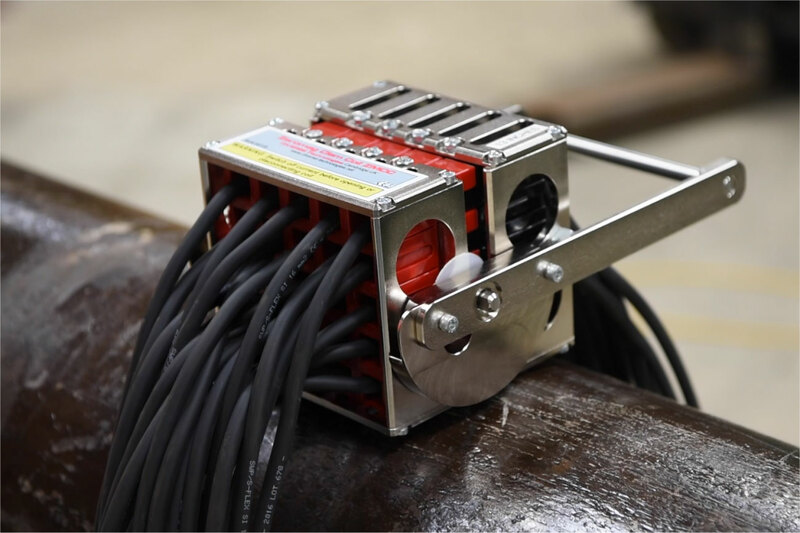 Our robust, portable, high power demagnetisers and magnetic instruments are used by leading welding companies worldwide. Proven over years with hundreds of installations this technology is used at pipeline laying sites on land or at sea, construction sites and even in smelting environments. 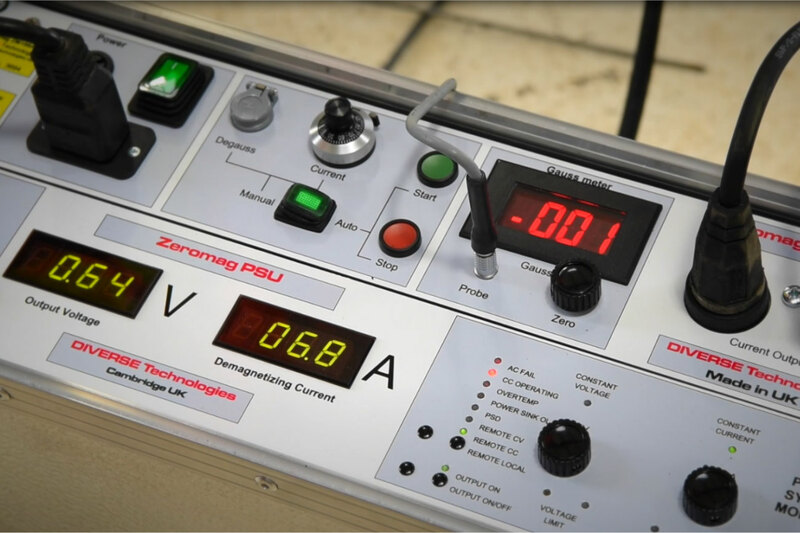 Zeromag is designed to provide a zero gauss welding environment. This allows welding that was impossible because of magnetic arc blow to proceed immediately, completely unhindered by magnetism. The equipment is available with a range of output powers and a variety of options such as joint degauss, clam coils, bobbins and ZeroZone. Our magnetic instruments are used for measuring Ferrite content, magnetic field, magnetic flux and magnetite. Diverse provides solutions for identifying and overcoming magnetic arc blow, based on our Zeromag and Magmeter product ranges. The solution to magnetic arc blow problems does depend on the project as there are many different component and process possibilities. Diverse provide an arc blow solver that addresses some of the issues as well as equipment and consultancy to ensure project success. 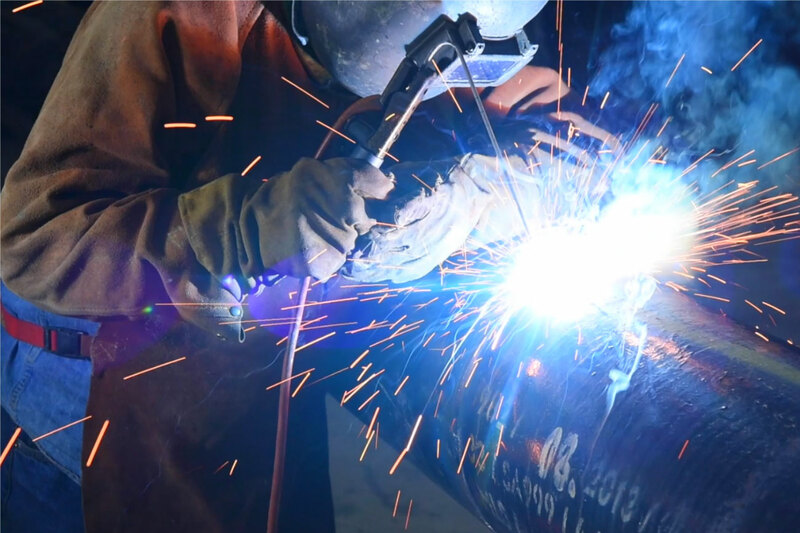 Examples include pipe manufacture where the demagnetizing needs to be integrated into the process and a practical solution for welding stainless lined pipes. For unusual component and material configurations Diverse can analyse the magnetic effects using finite element analysis (FEA) to determine the most effective arc blow solution. Diverse provide a variety of services for its customers. Historically we have provided consultancy and design services and that still continues. In addition we provide services to support our demagnetizing operations worldwide. Our magnetic finite element analysis allows us to analyse and design magnetic systems. Using FEA we have found magnetic solutions from the simplest magnet to an aluminium smelter! Over years of solving magnetic arc blow Diverse personnel have built up a lot of interesting information about causes, what to look for and solutions. This is presented in our Zeromag training day provided for your team at your site.